Discover five unmissable European countries and enjoy plenty of time to explore Paris, Switzerland and Amsterdam. This is a tour that slowly brews to perfection. Immerse yourself in some of Europe's top destinations at a leisurely pace. Savour the charms of Paris. 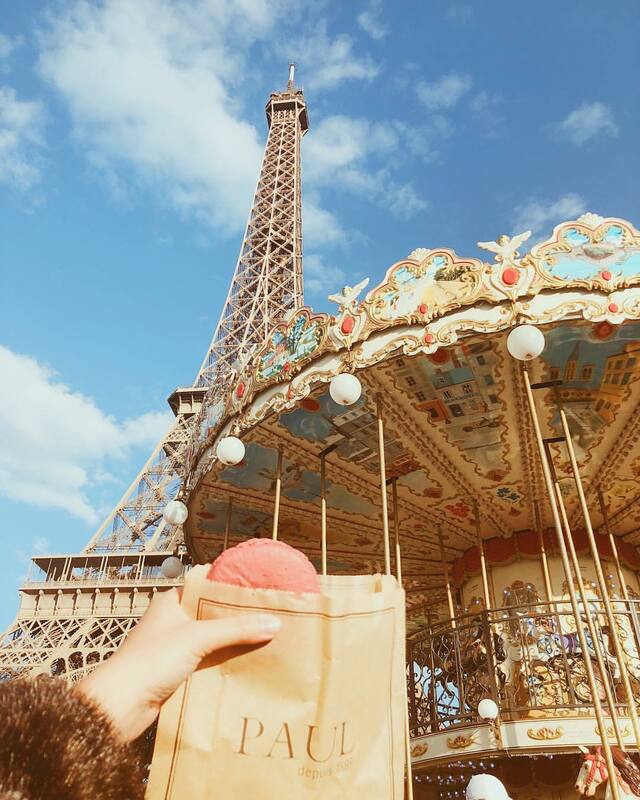 Eat lunch on the river Seine and try French macarons. 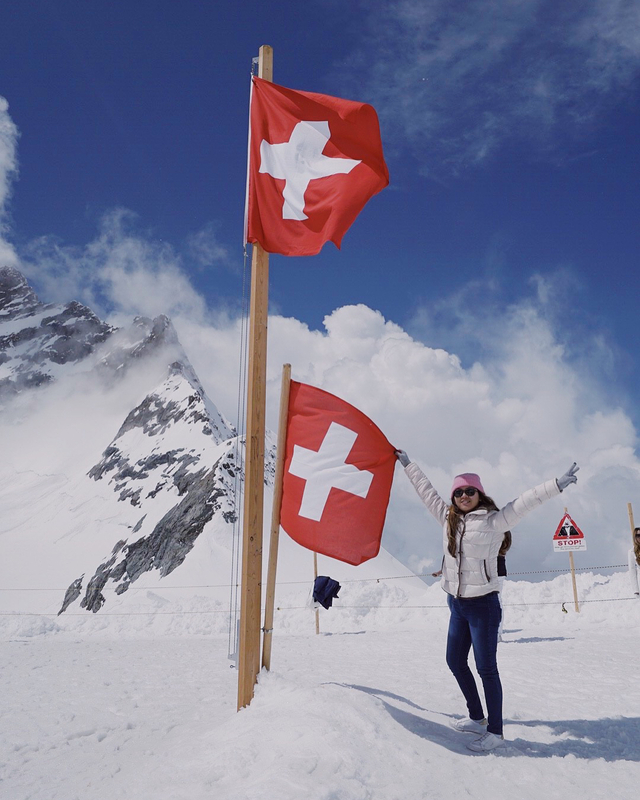 Scale the epic Jungfrau glacier in Switzerland. Encounter the authentic allure of the Dutch countryside. Accompanied by a seasoned tour leader, you'll eat where the locals eat and discover the true rhythm of life in Europe's finest cities. From cruises on the Seine to cheese-making in Amsterdam, you will do as the Europeans do. La vie est belle, no? Explore Strasbourg, UNESCO World Heritage site. Exploring the lakes, valleys and alps of Switzerland, spending a night in the university town of Heidelberg, a cruise along Amsterdam's stunning canals and more! Ready for the best 10 days in Europe, ever? Welcome to your Europe at Leisure Tour! Leave London behind and cross the English Channel bound for Paris. On our way we'll make a short stop in northern France in the Somme region. This area was the site of some of the bloodiest trench warfare during WWI. Arriving in the ‘City of Lights’ later this afternoon, join in on a driving tour to get a feel for the city. Catch the city’s highlights - the Eiffel Tower, Notre Dame and Arc de Triomphe, to name but a few! Next we're off to the historic Latin Quarter to enjoy a 3-course French feast with bohemian ambience. The end of dinner signals the end of your first day on tour. Jump on the city’s world famous metro system to head back to the hotel - a genuine local experience. Somme battlefield: the Battle of the Somme was fought during WWI between the armies of the British and German Empires in 1916. It cost the lives of one million men, making it one of the bloodiest battles in human history. Driving Tour of Paris: Take a driving tour of this famous city when you arrive. Look out for L’Opéra Garnier, the Tuileries Gardens, Place de la Concorde, Hotel de Ville, The River Seine, l'Ile de la Cite, the Louvre Museum, Eiffel Tower, Arc de Triomphe, Lovers Bridge, Sacre Coeur, Montmartre, Pigalle (the Red Light District) and the Moulin Rouge! Paris is yours. Enjoy exploring it at your leisure. 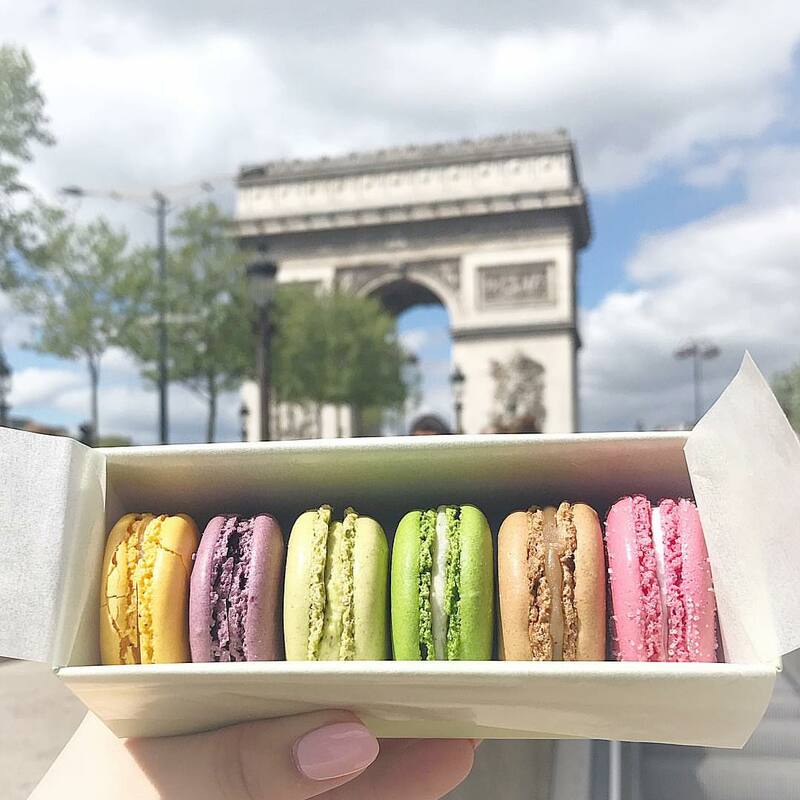 Enjoy a macaron tasting, visit to a traditional parfumerie or head out for lunch cruise on the River Seine. 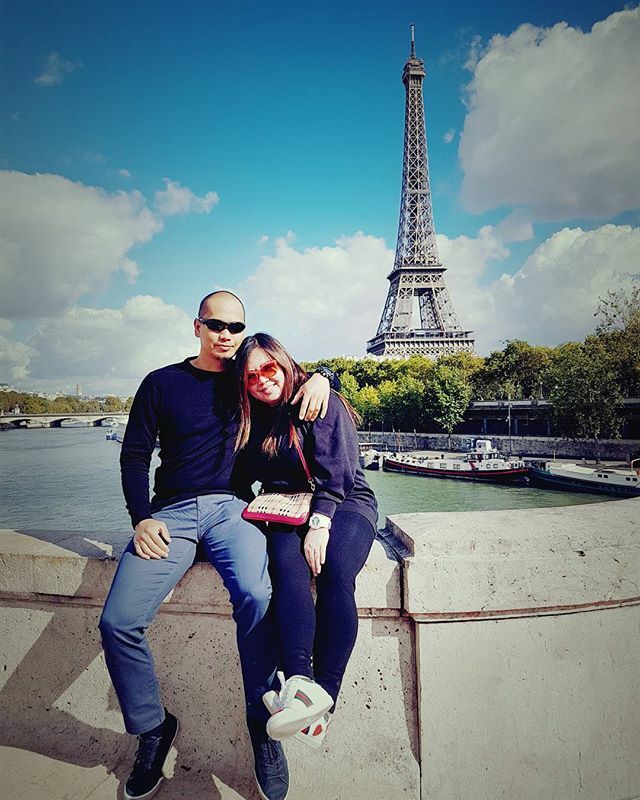 Even consider going up Montparnasse tower to snap iconic city views and the perfect selfie. Ever dreamt of watching a live cabaret in Paris? Your tour leader can organise all of these unmissable experiences for you! For the art lovers, galleries abound at every turn, including the Louvre and Musée d'Orsay. Paris is vast and wonderful, so enjoy your second full day of exploring the French capital. If you missed anything on your first day, now is your chance to see it. Alternatively opt for a full-day optional excursion to one of France’s most famous regions - the Loire Valley. Visit some of the finest chateaux in the region and stop to taste delicious Loire Valley wines. The region is best known for dry whites such as Sauvignon blanc, Pinot noir and Cabernet franc. Au revoir, Paris! Leave the city behind to experience small town France, stopping in Beaune in the heart of the Burgundy region. Enjoy some free time for lunch and to explore the town - why not visit the Hospices de Beaune or sample local cheese and wines. Leaving France, take a scenic drive across the border into Switzerland. 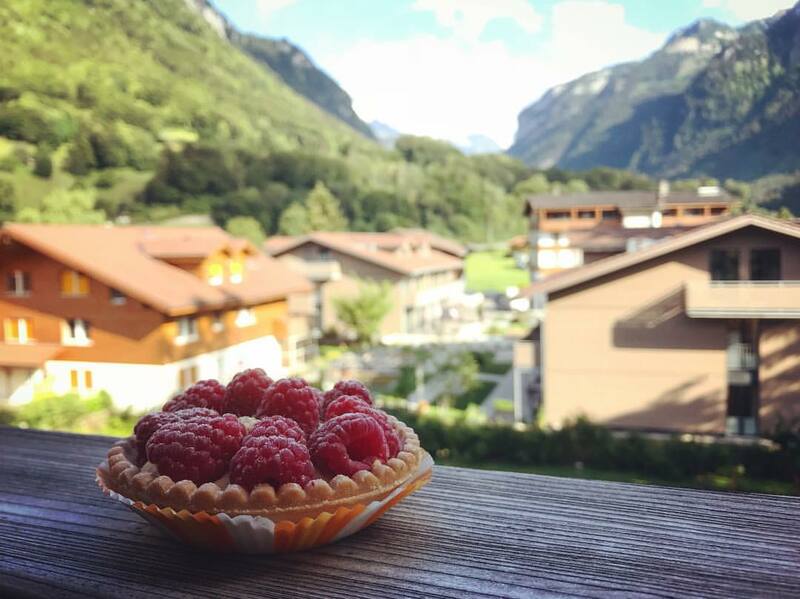 Head to the Swiss Alps for a stay in a quaint mountain village in the heart of the Jungfrau region. This UNESCO World Natural Heritage site is home to Europe’s largest glacier. On arrival at our beautiful partner hotel the Alpenrose Hotel & Gardens, settle into your rooms before we enjoy an included dinner. The splendour of the Swiss Alps is all yours today. 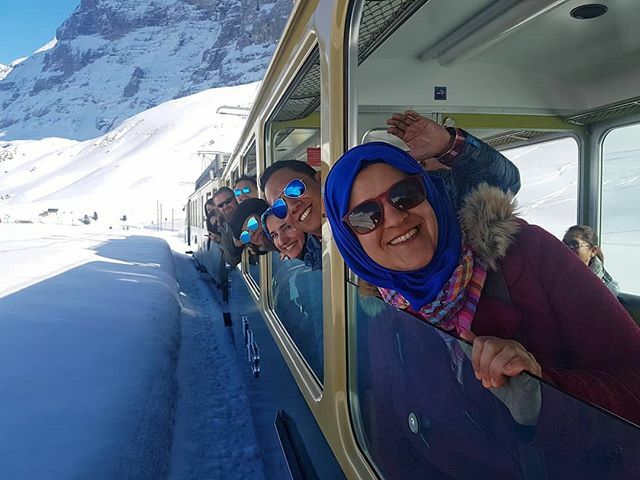 Join our optional group tour to Jungfraujoch, the highest train station in Europe! The scenic beauty unfolds as soon as you board the train. Look out for villages nestled in the valleys beneath the snow-capped peaks and tumbling waterfalls. Revel in snow-capped mountain scenery and visit the magical Ice Palace and Sphinx Observation Terrace. The views from 3,466 metres are incredible, and at this altitude you are guaranteed snow 365 days of the year! Another gorgeous day in the village of Wilderswil in the picturesque Swiss Alps. Take full advantage of your second free day and join your Expat Explore tour leader on an optional excursion to the elegant city of Lucerne. Stop over in Altdorf to find out more about the story of William Tell, Swiss patriot and national symbol. Visit a Victorinox Swiss Army knife visitor centre in Brunnen and cruise the spectacular Lake Lucerne. 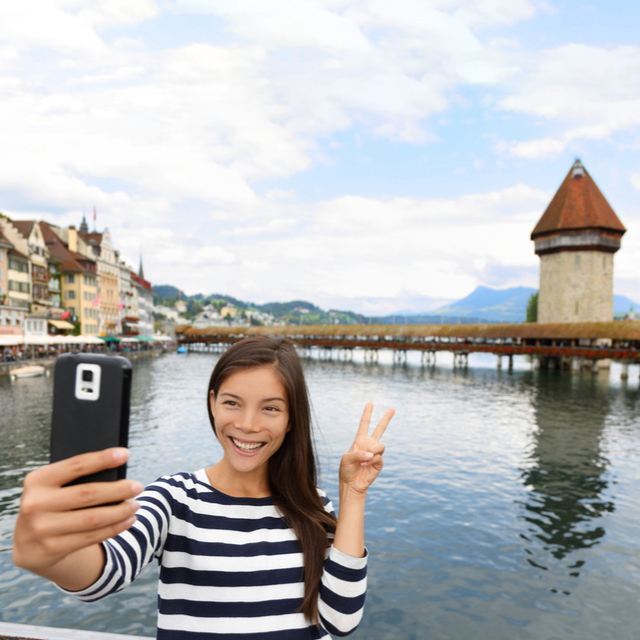 This afternoon enjoy free time to explore Lucerne at your leisure. 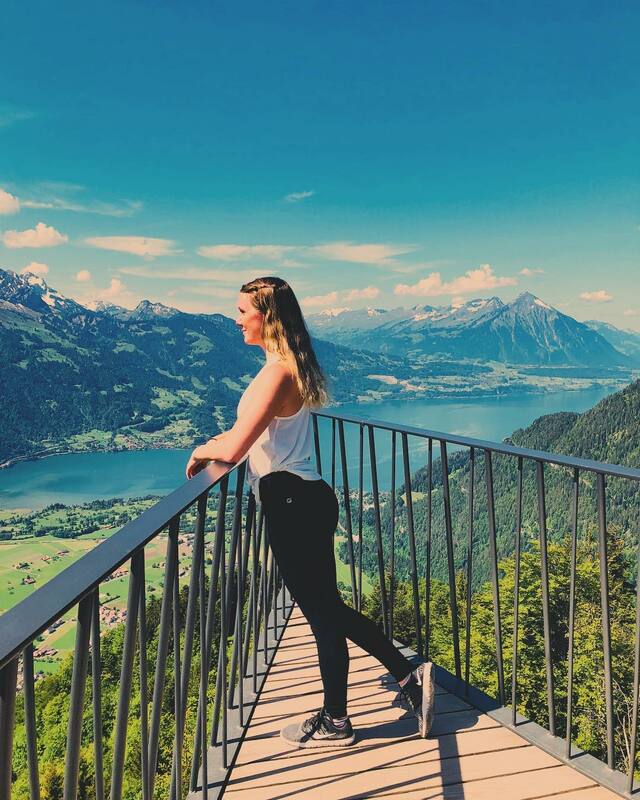 Alternatively in Wilderswil, you can follow walking and hiking routes into the mountains, or get your adrenaline pumping with skydiving, paragliding and other active sports in Europe’s adventure capital Interlaken. Embark to our next destination: Strasbourg, France. This historic town is brimming with German and French influences and is best explored on foot. 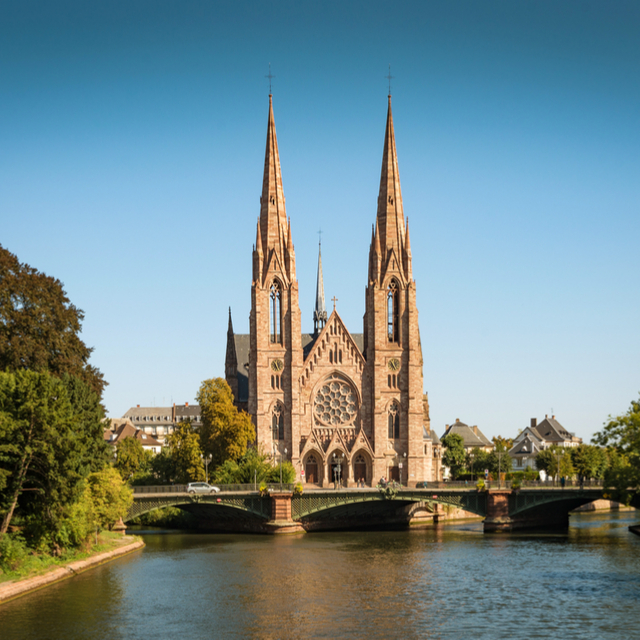 Strolling through the streets, gaze in wonder at the Strasbourg Cathedral and sweeping Rhine River views. After stretching your legs, we're back on the road, bound for Heidelberg in Germany. Once checked into your hotel room, the evening is yours to enjoy as you wish in this beautiful Baroque town. Maybe find a traditional beer garden and try some of the local brews. Prost! Comfort stop in Strasbourg: explore the Strasbourg Grande Île UNESCO World Heritage site. See the monumental Gothic cathedral with its ancient murals, stained-glass windows, and fascinating astronomical clock. Explore the city’s historic heart in the magical La Petite France district. Overnight in Heidelberg: a university town with a beautiful Baroque old town and vibrant nightlife, Heidelberg is the capital of the Romantic road, a route that travels through the Romantic towns of Germany. Back on the road today and heading for Cologne. This 2,000-year-old city spans the Rhine River in Western Germany. 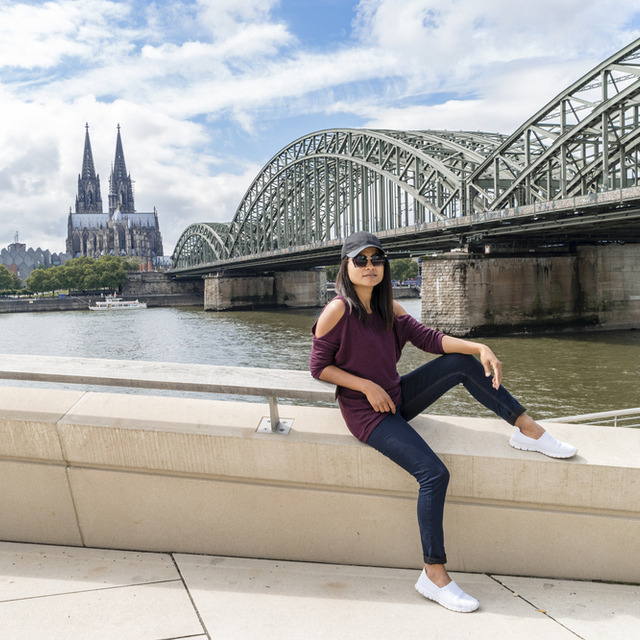 The area is a landmark for High Gothic architecture, with the Cologne Cathedral a classic example, and boasts being the tallest cathedral in the world. Enjoy the rest of your free time exploring the local sights and delights. The next stop is Amsterdam. Experience the iconic capital of the Netherlands as you embark on an included dinner cruise of the canals on arrival. See Amsterdam’s historic architecture and other sights from the water - a truly memorable experience. 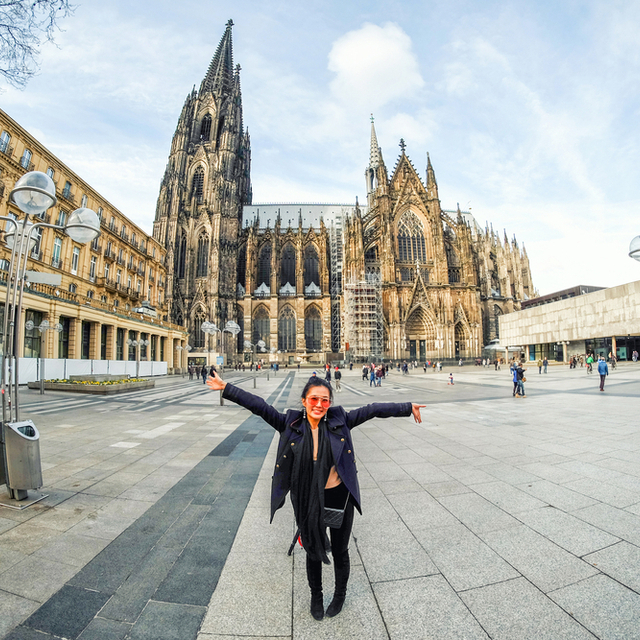 Comfort stop in Cologne: see the Cologne Cathedral, a UNESCO Gothic masterpiece that took over seven centuries to complete. Amsterdam canal cruise: sail along Amsterdam's stunning canals and enjoy a delicious pizza and drinks as you cruise. Today is a free day in Amsterdam! Choose to relax and take in the sights at your leisure. Or join your tour leader for a fun-filled day exploring the Dutch countryside. We begin with an entertaining demonstration showing you how clogs are made. Do you like cheese as much as us? 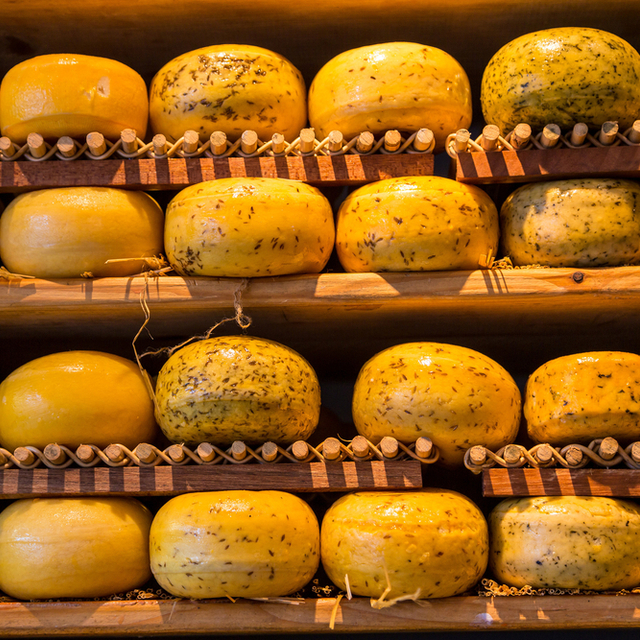 Watch our hosts make cheese the traditional Dutch way. Next up is the historical windmill village of Zaanse Schans. Here you will learn how vital these structures were to the industrial development of the country. Head to the historic fishing village of Volendam, which will show you what Amsterdam would have looked like centuries ago. Wander the streets, discover cafes and shop for local souvenirs. Once we are back in Amsterdam, the rest of the afternoon is yours. 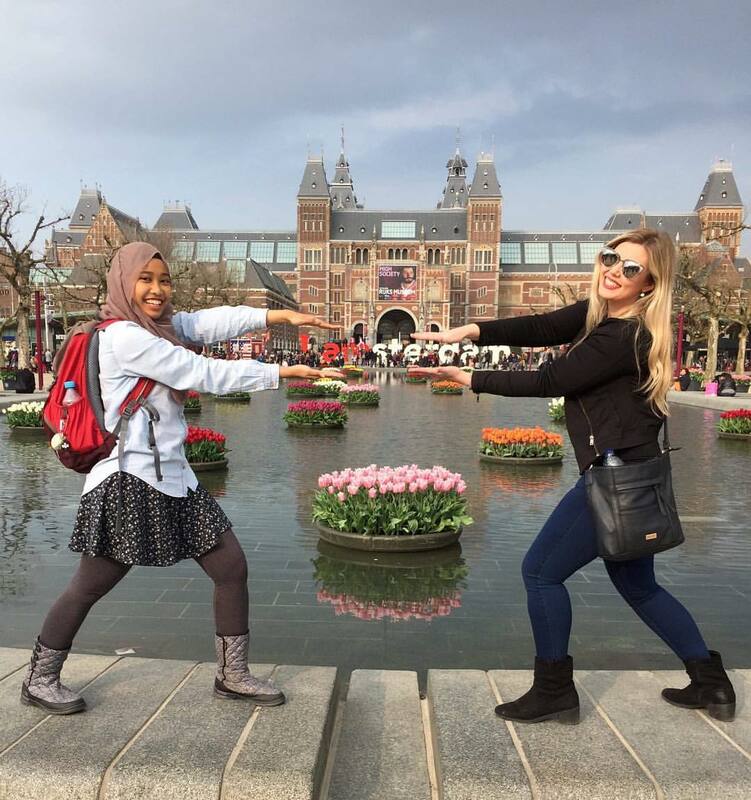 Choose to relax, or visit a local landmark like the Heineken Experience, Van Gogh museum or Anne Frank House. Today marks the last day of your 10-day Europe tour. 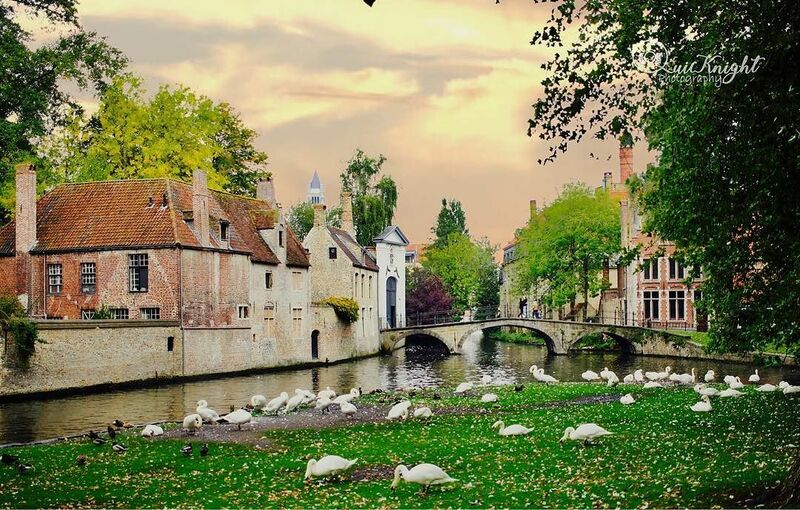 Before heading back to London, the Belgian city of Bruges awaits. This a picturesque town with a whole lot of charm. Stretch your legs and explore the meandering canals and walkways of the “Venice of the North”. Then it’s onwards to London, crossing the English Channel along the way. This is the perfect time to exchange contact details with your new travel buddies and start planning a new adventure. You know what they say - the best way to overcome post-travel blues is to start planning the next trip! 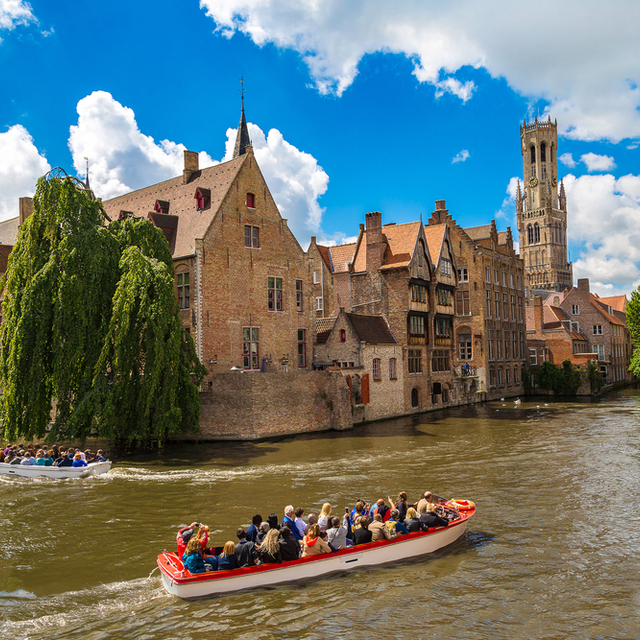 Visit Bruges: a stop in this beautiful medieval town with some free time so you could try the signature national dish of frites and moules, climb the Belfry Tower, have a Belgian beer or buy some amazing Belgian chocolate. Take a drive to visit two of the finest châteaux in France, a short drive from Paris city centre. First, Château de Fontainebleau and, in the afternoon, Château de Vaux-le-Vicomte. Both châteaux (built centuries ago) have their own unique and fascinating history, old-world architecture, sprawling formal gardens and elegant interior. In between visits stop by the beautiful artist village of Barbizon for lunch at a traditional creperie - a quintessential french treat! This experience is sure to intrigue and enthral any age. All entrance fees and transport is included. Please Note: Minimum numbers apply. Stated chateaux are subject to change. Take the opportunity to experience Switzerland’s most visited city, and the first city to join the Swiss Confederation; Lucerne. Our first stop is in Altdorf where, according to legend, the Swiss folk hero William Tell shot the apple from his son's head. We'll then drive on to Brunnen and visit the Victorinox Swiss Knife Visitor Centre. One of Switzerland's most iconic and recognisable brands, museum exhibits explore the history of the knife manufacturer, and you can also assemble your own Swiss Army Knife, and have it custom engraved. Then enjoy a beautiful cruise on Lake Lucerne. Once in Lucerne you will have an orientation tour of the city, showing you the most famous sights of this beautiful medieval city, including the world's oldest surviving truss bridge, and the Lion of Lucerne. You'll have a free afternoon to explore Lucerne at your leisure, before we return by coach to our hotel later on this evening. Enjoy a fun filled evening in Heidelberg. Start off with an orientation tour of the historic centre with your Expat Explore tour leader. Then take the funicular from the town centre up to Königstuhl mountain, which offers spectacular views of the city and river. On the way down we'll stop off at Heidelberg Castle for a leisurely walk of the castle grounds. We'll finish off the evening with a delicious 3 course German dinner with wine. This excursion begins with an entertaining demonstration of how traditional Dutch clogs are made (by hand), followed by a lesson in local cheese making. There is time to pop some clogs on, and taste the cheesy treats. A visit to the quaint fishing village of Volendam allows you to stretch your legs, wander the main street filled with cafes and local souvenirs, and admire the sprawling views. 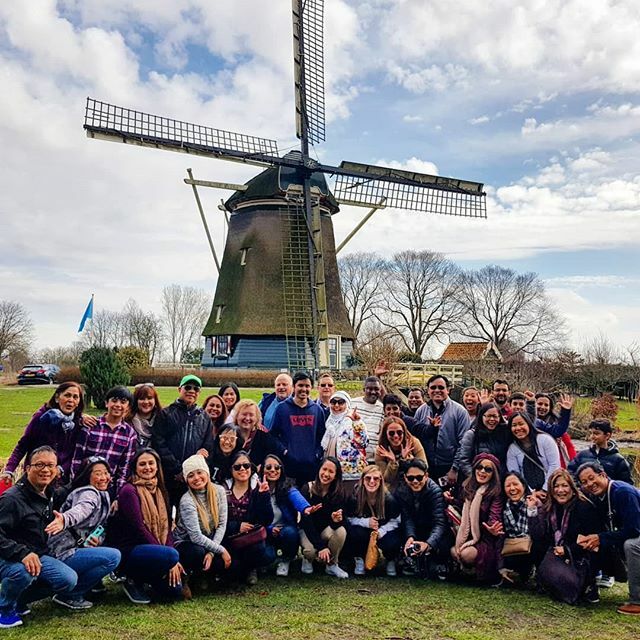 Your next stop is to the historical windmill village of Zaanse Schans, where you will discover how they were vital to the industrial development to the Netherlands. This is a great chance to get some fabulous photos! The coach will then take you back into the city centre, where you'll have free time to explore the city further. A must see in Amsterdam! Learn about the history of the Heineken family and experience the full brewing process. Located in a former Heineken brewery that brewed the famous lager for more than 100 years, the experience includes many interactive exhibits, games and videos. The self guided tour takes around 90 minutes and the ticket price includes two beers. 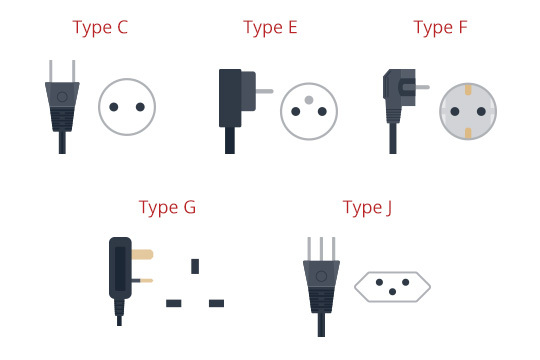 Socket C requires plug type C. Socket E is compatible with plug types C, E and F. Socket F is compatible with plug types C, E and F. Socket G requires plug type G. Socket J is compatible with plug types C and J.